In both cases I will present a professional pairs-trading and analysis application (“Pairformax”) that I developed for use by a New York hedge fund. This application analyzes large amounts of data relatively quickly, and presents the results in a professional-grade GUI. 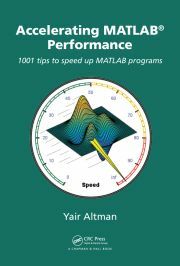 My aim is to use this example to show that contrary to a widespread mis-conception, professional Matlab programs can be created without sacrificing performance (speed) or appearance. Coupled with Matlab’s recognized benefits (rapid app development and off-the-shelf functionality), Matlab is certainly relevant for serious user-facing applications, not just for prototyping and internal organizational use. My presentations will be focused on the technical Matlab aspects, not the specific financial functionality of the program. I am targeting the presentations at anyone who designs and creates Matlab programs, not just in the financial fields. I will discuss some of the technical challenges encountered during the development, and a few simple techniques that can be very effective for improving run-time performance and visualization quality. If you are in the area and wish to meet me to discuss how I could bring value to your work, then please email me (altmany at gmail) to coordinate a meeting. We could meet either at the conferences, or in a dedicated (private) meeting. Any chance you’ll have a recording of the [English] presentation Yair? @Scott – in last year’s Expo there were video recordings of several presentations, so there’s a fair chance that my upcoming presentation will be recorded. However, I do not know whether this will in fact happen. If it will, then I will be sure to update this post with the relevant link. @Scott – while I still do not know regarding the recording, you can already see the presentation slides here (English PDF). Enjoy! 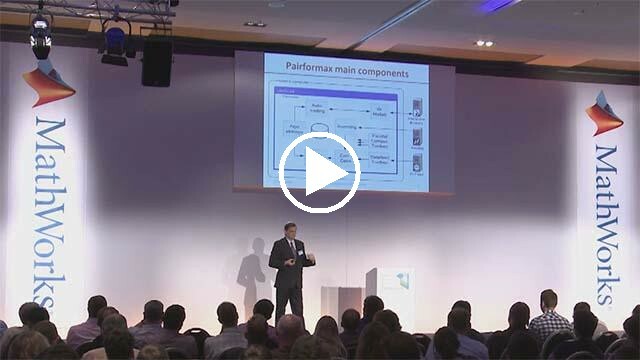 A video of my Expo presentation became available today on the MathWorks website.